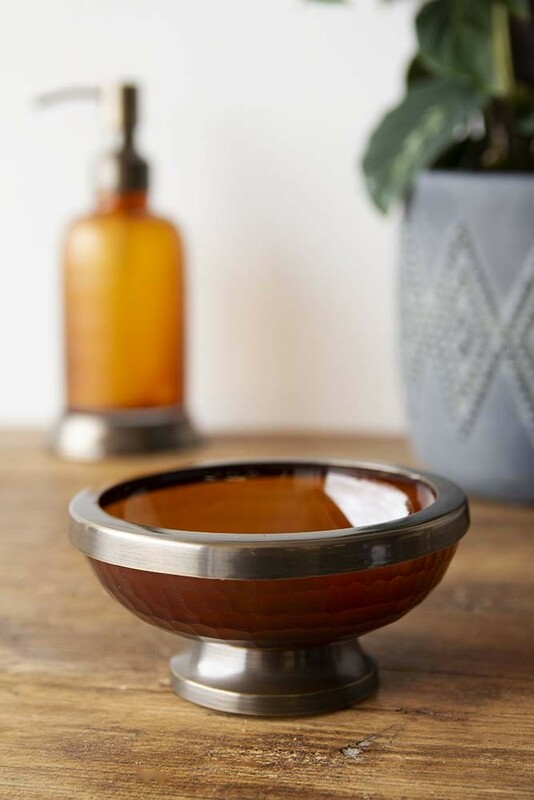 A beautiful bowl-shaped soap dish the Apothecary Style Soap Dish is slightly raised on a metal stand with a metal rim. 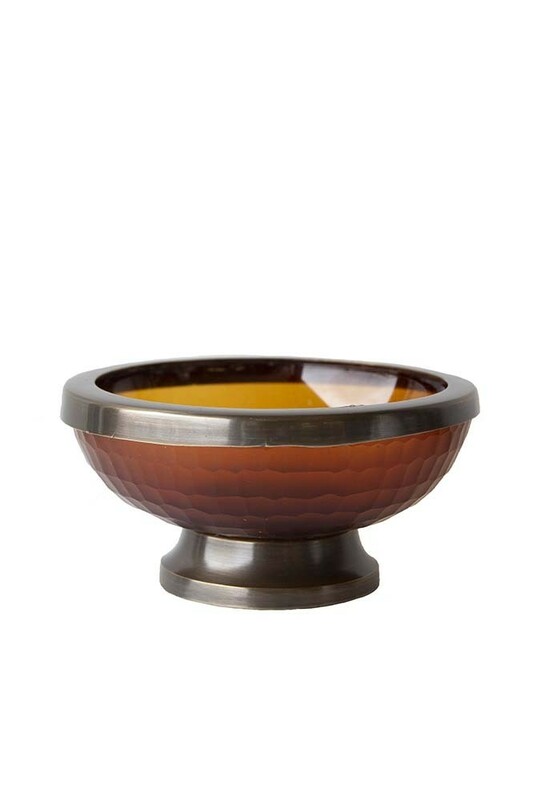 The amber glass is detailed with a honeycomb pattern that adds unique charm to the soap dish. Perfect for all your soaps or alternatively a lovely trinket tray for your jewellery, badges, house keys or other home accessories you can re-purpose and reuse the Apothecary Style Soap Dish for years to come. 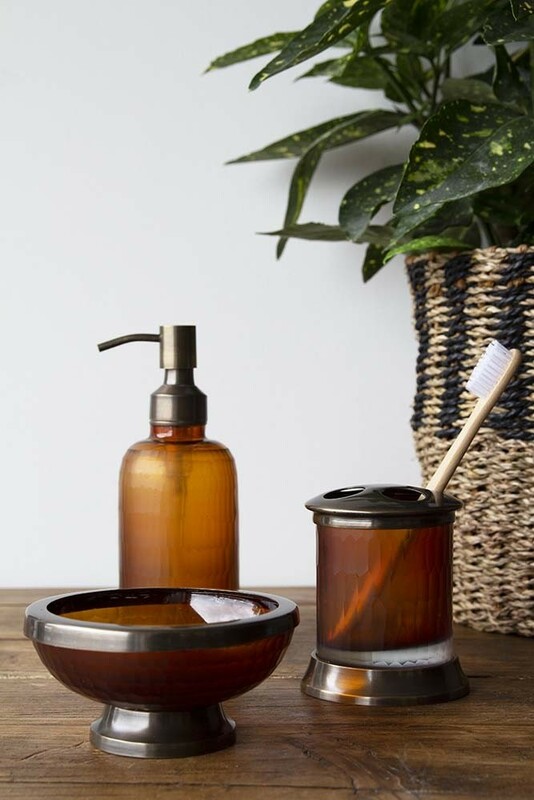 Matching accessories from the Apothecary Style bathroom range are also available, including an Apothecary Style Lotion Dispenser and Toothbrush Mug.